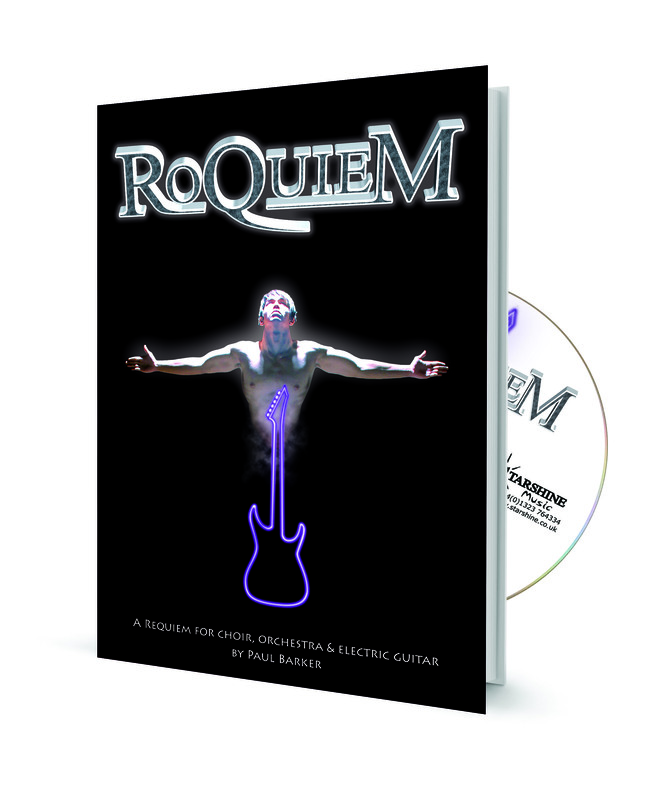 Award-winning ‘RoQuiem’ is an exciting work for choir and orchestra/band, written for young performers - whether they are experienced or inexperienced. Full of vitality and irresistible melodies, this piece will delight singers and audiences alike. 'RoQuiem' is arranged for full orchestra, but may equally be performed with a smaller group of instruments. The piece may also be performed by choirs using the CD backing tracks, although the inclusion of a live guitarist is recommended, as lead guitar is featured widely throughout. The CD contains a live concert performance, as well as instrumental backing tracks (both with and without guitar). The CONCERT PACK contains the piano-vocal score, CD, conductor's score, pack of loose leaf 24 instrumental parts on A4 sheets and a pack of 10 singer's booklets. "RoQuiem was a great way to introduce our youth choir to an extended piece that is positive and uplifting but always fun to work on. 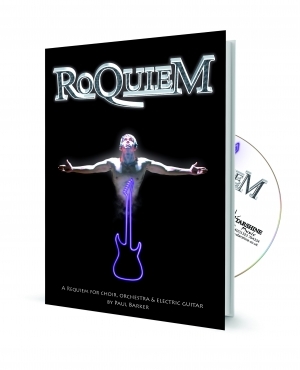 I was amazed at RoQuiem’s capacityto inspire fantastic energy in our singers." T. Marks, National Artisitic Director, Australian Youth Choir. This fantastic piece was easy to learn and sing for both adults and children alike. We found it easy to do our own live performance using the clear and well-written orchestral parts. Everyone enjoyed it! Thanks. The contemporary pop/rock feel made these pieces great fun to sing. A lovely mix of music which is easy to learn for any adult or children's choir. Very well put together, I would highly recommend this songbook for any choir looking for something a little different. It was an extremely professional and emotionally uplifting production, which brought together hundreds of people from the St John Fisher and St Roberts communities. The Mayoress and I were inspired to see so much talent in the young people who performed and we thoroughly enjoyed the show. There were some moving solos from the Sixth Form Choir, accompanied by elegant interpretative dance from the talented Year 10 dance group. The Year 9 drama students who performed the crucifixion scene carried off this dramatic climax with the suitable gravitas and solemnity. When the St. John Fisher school choir and band moved into ‘Roquiem’ itself they proved to be in their usual excellent form, with the musicians well balanced to the sound of the vast school choir, performing in Latin with subtitles in English on the video screens. A mention must go to the hard work of those involved in the camera work and editing which allowed the audience to follow every word in English and see every face – no matter where they were sitting. As the performance reached its finale the roof of St. Robert’s must nearly have come off as the primary schools joined in for ‘In Paradisim,’ and the combined voices of all the schools filled the church. The entire event was a very moving experience for all those present and was a wonderful advert for our present young people, and for the promise the future holds. 'RoQuiem' was a great way to introduce our youth choir to an extended piece that is positive and uplifting but always fun to work on. I was amazed at RoQuiem's capacity to inspire fantastic energy in our singers. Singing in 'Roquiem' was a fantastic experience. It is a great piece of music which sounded amazing when performed accompanied by a rock band.